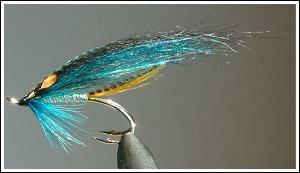 Wing: two strands of blue mirror flashabou, bunch of ice blue Serebrjanka, blue and silver holographic Angel hair, bunch of kingfisher blue Serebrjanka, 2 strands of blue Gliss’N Glow, bunch of black Arctic fox. 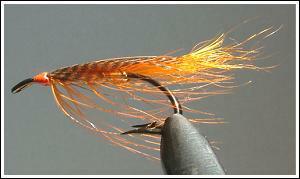 Wing: two strands of orange mirror flashabou, bunch of orange Serebrjanka. 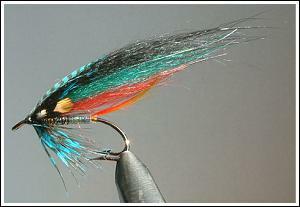 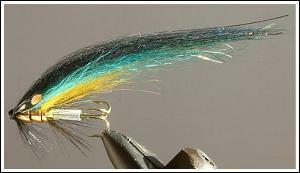 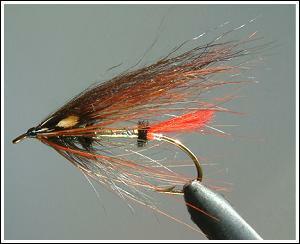 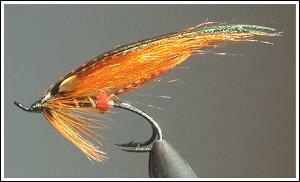 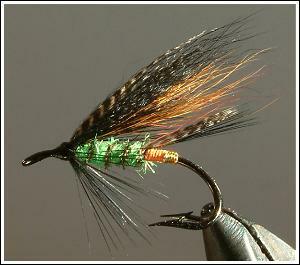 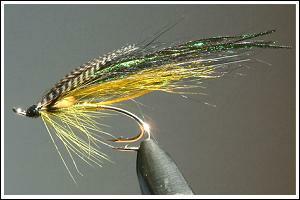 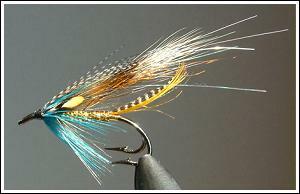 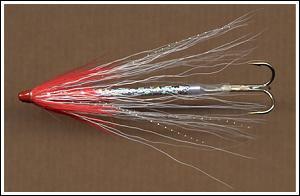 The article ends with some flies that I use for the spring conditions on Kola Peninsula rivers.